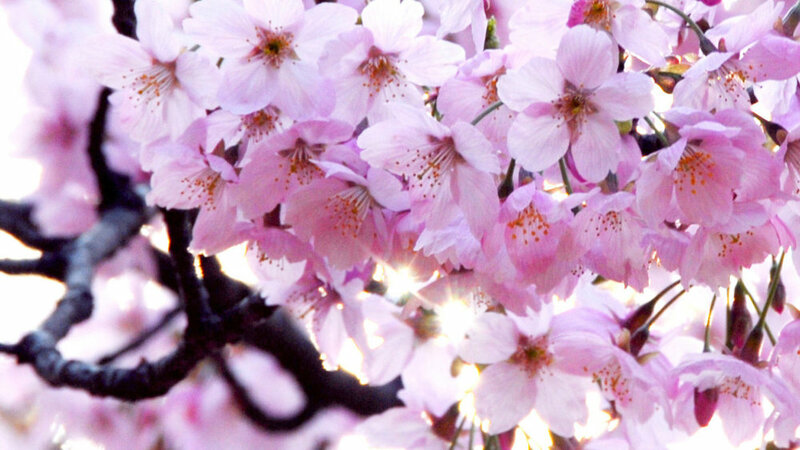 The first cherry trees were a gift of friendship to the people of the United States from the Japanese government. They arrived here in January 1912, but authorities quickly discovered the trees had contracted a disease during their long journey and must be destroyed. So to everyone’s dismay, they were immediately burned. Thankfully they were replaced soon after. On December 10, 1941 during a temporary blackout three days after the Japanese attacked Pearl Harbor, vandals cut down four of the cherry trees along DC’s Tidal Basin and wrote “TO HELL WITH THOSE JAPANESE“ on one of the remaining stumps. There was an immediate public outcry for the remaining cherry trees to also be destroyed. After thinking about it calmly, the National Park Service on whose land the trees were planted, decided to just begin referring to the trees as “Oriental” cherry trees. This seemed to ease public feelings. In 1945, the trees were again referred to as “Japanese” cherry trees. 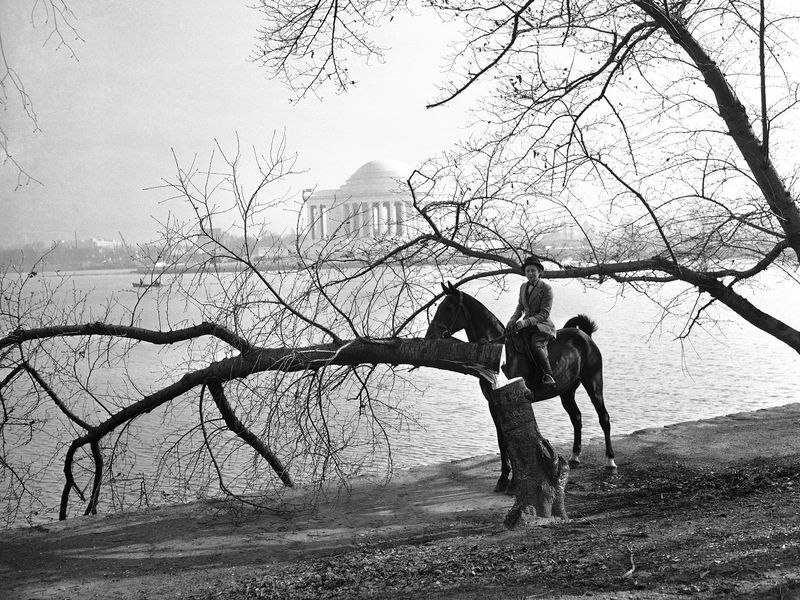 On the morning of Tuesday April 7th 1999 (or maybe the night before) a cherry tree in full flower not far from the Jefferson Memorial was found chopped down. And several of the park's larger and older cherry trees were also found to have damage about six inches above the ground. The concern was that this damage could ultimately prove to be fatal to the trees. It was not a good day for cherry blossom lovers! After some research and much discussion the National Park Service determined that the culprit was not a visitor (as had been suggested) but rather a local --- a local beaver. The Park Service investigated the situation immediately. But it took a while to locate the guilty animal. Then, at last, they captured a midsize, very guilty-looking female beaver. The entire city was relieved! But wait! Park rangers soon trapped a small pup. Oh! No! A mother with a family to feed! Then 11 days and nine trees into the saga, a large male beaver was taken into custody and was presumed to be the real culprit. Immediately there were all sorts of conflicting stories about this unwanted male beaver. It was suspected that he was a bachelor who had been living near the Tidal Basin for about two years. One theory/story was that he arrived in DC riding debris down the Potomac River during a flood. Some people marveled that he must have struggled to get clear across dry land to the trees. Julia Long, a Park Ranger at the time said, “This is one optimistic beaver. He thinks he can build a dam across the Tidal Basin." A joke of the day was that regardless of how he got there, it was quite clear that the guilty beaver paid absolutely no mind to the local signs saying: "Please do not pick the cherry blossoms"
The fate of the beavers and concern for the safety of the trees brought round-the-clock coverage from the national media. Ultimately, the beavers were released in an undisclosed wildlife area, far, far away from the cherished cherry trees. Most of DC’s cherry trees are Yoshino hybrids that produce a beautiful cloud of single white blossoms. Then there are about 480 Kwanzan cherries, which produce heavy clusters of bright pink blossoms. And there are also about 190 Takesimensis, which produce huge bunches of white flowers, 112 Akebono, whose flowers emerge pale pink and fade to white toward the end of the blooming period and 94 Weeping Japanese, which produce long, draping strands of single pink blossoms. Lovely! DC does not have the best growing conditions for Japanese cherry trees. Most of the cherry trees planted in the region are not able to reproduce without human intervention. So new trees are created by grafting two trees together or through the propagation of tree cuttings. The National Park Service and the National Arboretum care for the cherry trees and have tried to be true to the original trees by replacing dying trees with genetic clones. Side Bar // To stay informed about the progress of DC’s cherry blossoms, try their watch cam. The National Park Service predicts that this year DC’s cherry blossoms will reach their peak between April 3 and April 6. If you’re planning on coming to DC to see this annual show of pink and white along the Tidal Basin, get ready! There will be lots of other people joining you! And you best steel yourself for some possible disappointment. The life of a cherry blossom can be quite short, especially if there is wind. So upsetting – here one day, gone the next! Literally! If you miss seeing the cherry blossoms around the Tidal Basin, try catching them over at the National Arboretum (3501 New York Ave NE, Washington DC 20002-1958 +1 202-245-2726) They have more than 30 varieties of cherry trees and they bloom over a much longer period of time than the types found at the Tidal Basin. The trees at the arboretum begin blooming at least two weeks earlier than those around the Tidal Basin and they often have flowers well into May. Or, forget DC’s cherry trees altogether and head off to Japan. The Japanese celebrate their cherry blossoms much longer than the folks in DC do. Japanese festivals of Hanami (flower gazing) last for about ten days in March and April with the whole country participating. The Japanese definitely understand how to do it right! But then they’ve been doing it since the eighth century! And of course don’t miss the 2019 National Cherry Blossom Festival Parade Saturday, April 13, the Blossom Kite Festival March 30, 2019, or the PetalPalooza (with fireworks) April 6, 2019. Newer PostAfter All These Years, JQA and His White House Gardener Are Reunited! Older PostJust Released! A New Book set in Washington DC!